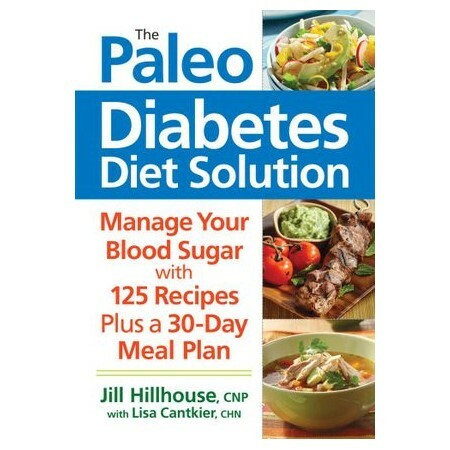 Switching to a Paleo lifestyle can effectively manage your diabetes. Millions of people are living with diabetes, and many experts believe that the regular consumption of packaged and processed foods is the leading cause of diabetes and other chronic diseases. A Paleo Diet isn't a magic bullet but all the recent research points to the fact that it can effectively manage as well as lower your risk for diabetes. The foundation of the paleo diet is built on fresh, unprocessed grass-fed meat, whole fruit, vegetables, seeds and nuts. It's essentially the diet our ancestors ate 10,000 years ago and doesn't typically include grains or dairy. It's a nutrient-dense, low-carb, fiber-rich diet high in vitamins and minerals ultimately it's high in foods that improve and stabilize blood sugar levels. So can you avoid refined sugars and sweeteners, grains including whole grains, and industrial seed oils and still enjoy tasty and delicious food? The answer is absolutely yes! Jill has carefully chosen these recipes not only for their nutritional value but for their delicious taste. Just because you're managing diabetes and following a Paleo lifestyle doesn't mean that you have to give up tantalizing dishes and meals. Jill devotes an entire chapter to getting ready for the lifestyle, which includes what foods to avoid and why, as well as what to include and why. Food lists, preparing the kitchen and pantry staples are carefully included as are recommendations for shopping and label reading for blood sugar control. The 30-day meal plan program is easy to follow and common questions and concerns are answered in a friendly manner. You'll have a fantastic variety of 125 recipes to choose from from sumptuous soups like Coconut-Spiked Pumpkin Soup with Cumin and Ginger, to Creamy Peanut Coleslaw, Turkey Stuffed Peppers, Italian Sloppy Joes, Skillet Grilled Flank Steak with Sauteed Mushrooms, Zucchini Noodles and Pesto, Vegetable Frittata, and desserts like Soft Serve Coconut Banana Freeze and Chocolate Mousse. These Paleo-inspired recipes will give you the tools you need to manage or reverse high blood sugar levels while enjoying delicious food at the same time. Jill Hillhouse is a Certified Nutritional Practitioner from the Institute of Holistic Nutrition in Toronto. Her approach to functional nutrition focuses on each person's metabolic individuality which is at the heart of her integrative nutrition and lifestyle coaching. She is also a nutrition and lifestyle writer who has authored many articles for publications. Lisa Cantkier is a Certified Holistic Nutritionist, writer and editor. She is a Nutritionist at the Integrative and Functional Medicine Clinic in Toronto.